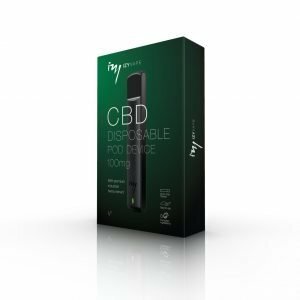 The Izy Vape disposable CBD pod device is manufactured with premium grade industrial hemp extract and uses ingredients sourced directly in Europe. A very simple to use all-in-one system that produces up to and beyond 350 puffs per device. The flavour has mild and earthy notes that don’t overpower the taste buds but provide a sweet and pleasant vape experience. 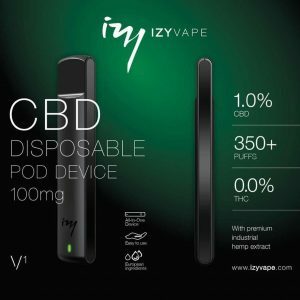 The IzyVape disposable CBD pod device uses a ceramic coil, ensuring that CBD is ingested in the most efficient manner while increasing CBD bio-availability. CBD oil, which is the non-psychoactive ingredient in cannabis extract, has shown great signs of reducing smoking rates by up to 40% in people that are active smokers.